Pulpitis is a general term for inflammation of the tooth pulp, which consists of the blood vessels, nerve tissue, and living cells that occupy the hollow interior of teeth (Figure 1). Pulpitis is characterized by tooth sensitivity that arises from excess blood flow (hyperemia) to the tooth. In some cases, the patient will complain of tenderness in the neck, under the jaw, or under the chin, where lymph nodes are located. Lymph nodes typically enlarge and become tender when there is infection nearby. Pulpitis is generally divided into two types: Irreversible and Reversible. 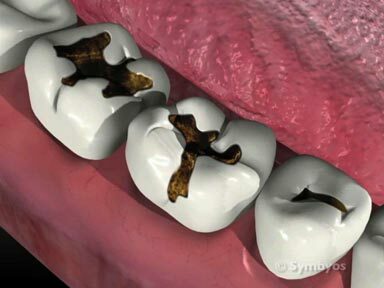 Irreversible pulpitis is generally characterized by prolonged sensitivity to cold and/or heat, and sometimes to sweets. It is often accompanied by a continuous low-grade ache, which is aggravated by these stimuli. Swelling may be present. The tooth’s ability to sense a mild electrical stimulus may be reduced. With irreversible pulpitis, the nerve tissue is still living, but won’t remain alive due to presence of irreversible inflammation in the tooth. Reversible pulpitis is generally characterized by sharp sensitivity to cold, sometimes to sweets and sometimes to biting. Usually heat doesn’t bother the tooth as much. There is generally no low-grade ache, and the painful response to stimuli is not as prolonged. Swelling is generally not present. Normally, the tooth can still detect a mild electrical stimulus. Inside the pulp, the inflammation is not as pronounced as with irreversible pulpitis, and less damage to the pulp tissues (if any) has occurred. If a tooth has recently undergone dental procedures (fillings, crowns, etc. ), it may be sensitive for a period of time afterward. 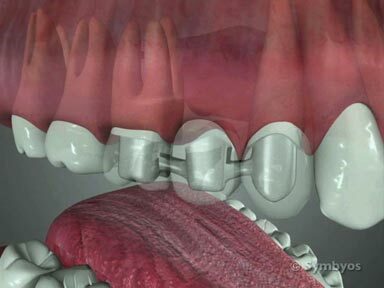 This is known as postoperative sensitivity, essentially a diagnosis of pulpitis. Depending on the nature of the dental procedure, the age and immune status of the patient, the tooth may get better, or the pulpitis may become irreversible. In some cases, the tooth pulp may die. A dentist may be able to give you an idea of the likelihood of developing pulpitis before any dental procedures are performed. Keep in mind that teeth are normally living, and that dental procedures on the teeth are surgical procedures, which commonly produce an inflammatory response of some degree. 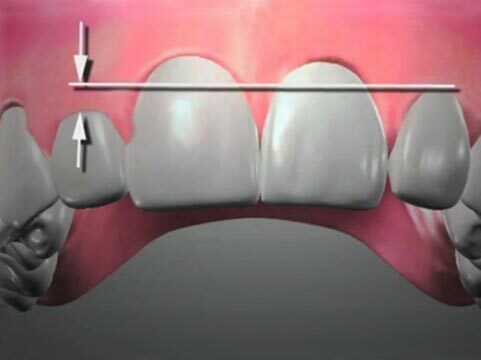 Most often the response is minor; however, if the procedure is involved, irreversible pulpitis may occur. How does the dentist diagnose Reversible Pulpitis? How is Reversible Pulpitis treated? Reversible pulpitis often gets better without treatment. The dentist may recommend use of non-steroidal anti-inflammatory medication (NSAIDs) if you can safely take them. Often, adjusting the bite on the affected tooth accelerates resolution of symptoms. Depending on the cause, the dentist may also treat the tooth with desensitizing medication, and may recommend using sensitivity formula toothpaste until symptoms improve. An X-ray image (radiograph) is usually taken to get a baseline record for comparison, should the tooth’s symptoms not improve. If the reversible pulpitis is being caused by tooth decay, fillings or other restorative treatments will be needed.